Made with all the classic Docs DNA, like grooved edges, yellow welt stitching and a scripted heel-loop featuring Richard Dadd's Fairy Feller's Master-Stroke printed on Cristal Suede, a traditional suede with a crackled and distressed topcoat that shows a contrast base color with wear. 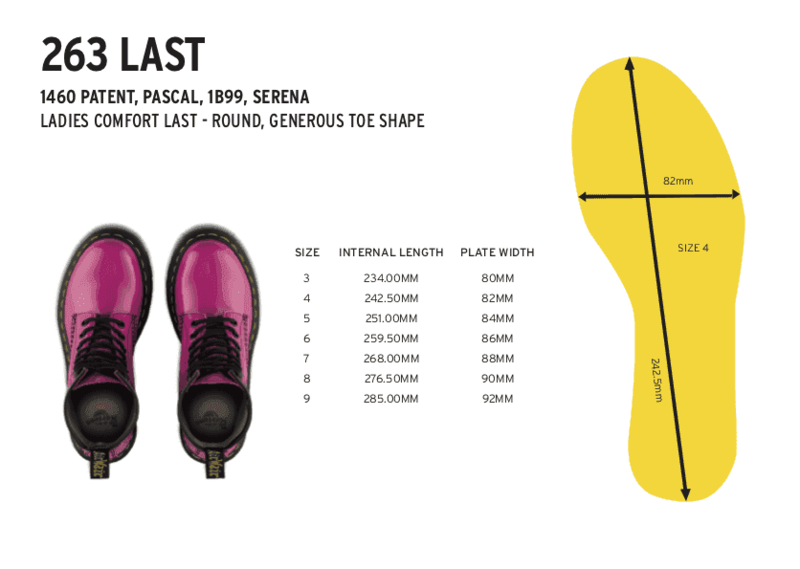 Constructed on the iconic and comfortable Dr. Martens air-cushioned sole. Platform height is 1.5", and heel height is 2". The 1460 is the original Dr. Martens boot — and this season, it's the canvas for another collab with Tate Britain, featuring Richard Dadd's Fairy Feller's Master-Stroke. A Victorian English painter, Dadd was known for his whimsical paintings with obsessive detail — most of which was created while he was a patient in the Bethlem mental asylum.